Kementari has a small piece of Manikato Stakes history in his favour heading into the rich sprint. Kementari will be out to emulate last year’s Manikato Stakes winner when he drops back to a sprint trip in the $1 million weight-for-age race. The James Cummings-trained Kementari has been freshened for the Manikato (1200m) at Moonee Valley since finishing fourth in the Group One Makybe Diva Stakes (1600m) early last month at Flemington. The Tony McEvoy-trained Hey Doc won the 2017 Manikato off a six-week let-up after he failed to run the mile out when unplaced in the Makybe Diva at his previous start. 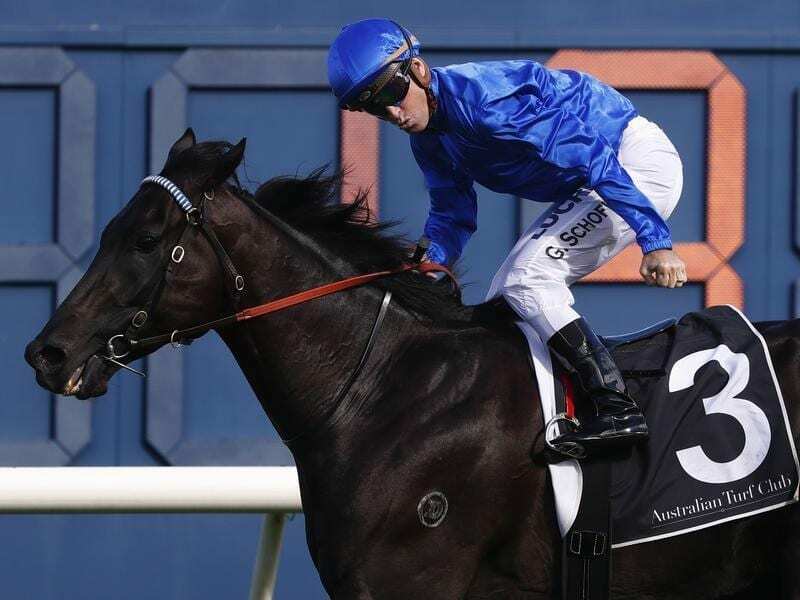 The Godolphin team opted to target weight-for-age Manikato with Kementari after he was taken back to Sydney after his last start, and Cummings believes the decision can yield a winning result on Friday night. “We got the horse back to Sydney after the Makybe Diva where he was good but wasn’t as good as Kementari can be,” Cummings said. “He just did really well and continued to thrive. “As he bulked up he continued to look more the sharp sprinter-miler that he was growing into at the end of his three-year-old year. The McEvoy-trained three-year-old filly Sunlight has assumed favouritism at $4.60 over Kementari ($5) on Wednesday while the Aidan O’Brien-trained U S Navy Flag was at $6.50 for his second Australian start after being unplaced on a wet track in the $13 million Everest in Sydney last start. U S Navy Flag is one of two horses coming out of this month’s Everest in the Manikato, along with the Darren Weir-trained Brave Smash who finished eighth. The Lindsay Park stable has decided to drop four-year-old mare Tulip back in distance from 1400m to give her a crack at the Manikato for which she is one of the outsiders at $34. Tulip has won twice at Moonee Valley and had a couple of placings from five attempts in lesser grade. “She’ll have to run a career-best but her work is good,” co-trainer Ben Hayes said. “She has run fifth in an Everest last year, so if she’s at her best she can definitely mix it with them.